Published June 18, 2010 at 1020 × 1620 in The Book. 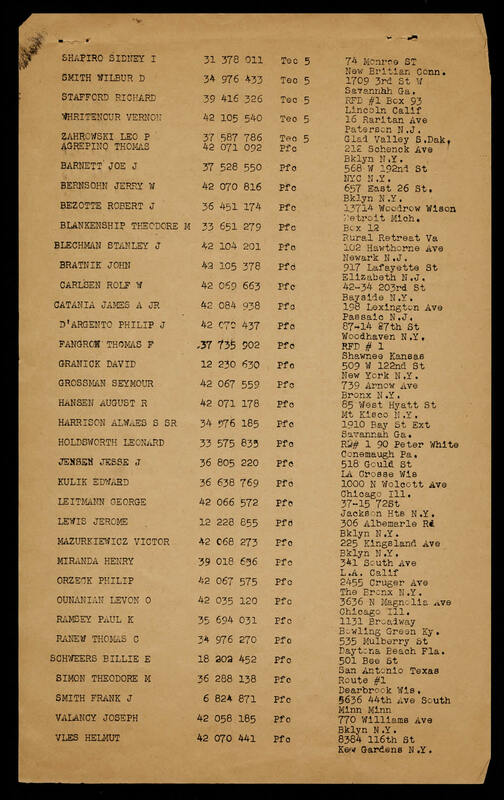 My father was James A. Catania Jr. listed above from Passaic, NJ. We lost my father on September 21, 1991 to colon cancer. He had just turned 66 years old the month before. He always told stories about being in the war and how all the “men” protected him when they went into battle because he was so young! Thank you all for saving him to come back home and eventually become my father.